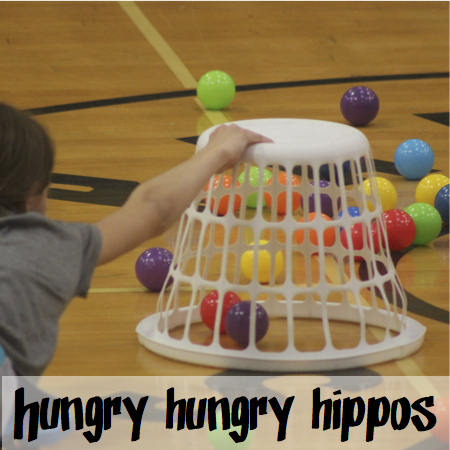 Life-size hungry hungry hippos. Stick a team member on a gym scooter, push them out to a sea of balls with a clothes hamper in hand. Try to bring back as many balls as you can. Repeat until all the balls are gone. But be quick! You’re competing against 3 other teams!